Don't get your straps in a jumble. 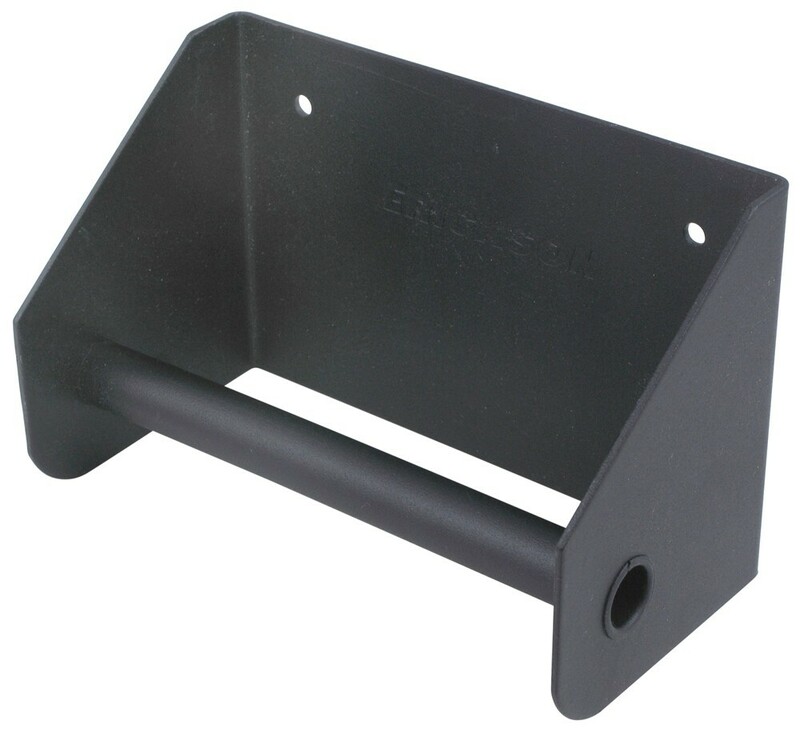 Store them neatly with this specially designed, 6" wide strap hanger from Erickson. Just bolt to wall and hang strap hook ends over bar. Lowest Prices for the best trailer cargo organizers from Erickson. 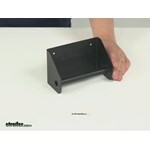 Erickson Strap Hanger and Storage Unit - 6" Wide part number EM58000 can be ordered online at etrailer.com or call 800-298-8924 for expert service. 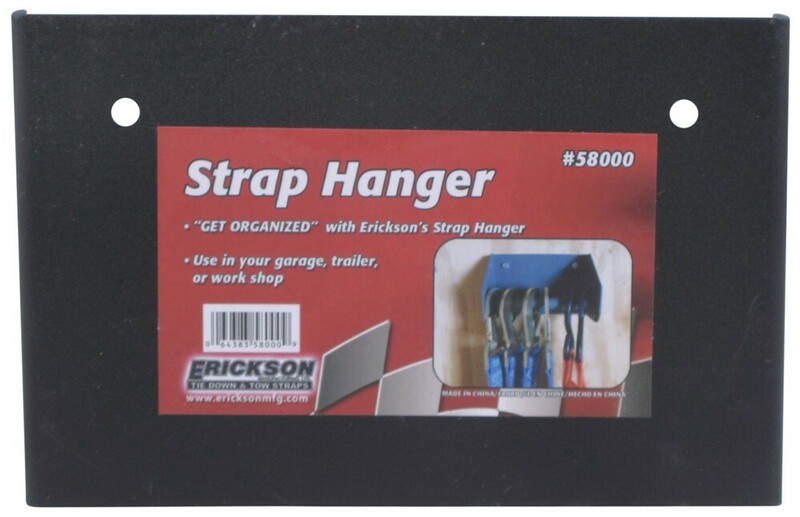 58000 Erickson Strap Hanger / Storage Unit - 6" x 4"
Mount this cabinet in your trailer or garage to create an all-inclusive workstation. Fold-down, aluminum tray offers a convenient workspace and doubles as the cabinet door. Includes 2 storage shelves and a spring-loaded paper towel rack. Hopkins Endurance Easy-Pull 4-Flat Extension w/ 2 Grip Rings - Vehicle and Trailer Ends - 48"
Today we're going to be taking a look at part number EM58000. This is the Erickson Strap Hanger and Storage Unit. This unit is going to keep your straps in order. It's going to keep them from getting tangled from using them at one point and maybe not using them again. I know for us, we just like to throw our straps in the back of the truck or in our trailer and so when we use them next, it always seems like we're having to untangle a mess. This unit really helps keep the straps organized for when you're ready to use them again. All you have to do is bolt this to the wall, hang the strap hook ends over the bar and it's going to keep them from becoming a mess or getting tangled. You can mount this in your garage, in your trailer, on your truck, it's going to give you convenient anytime access. It is made of a steel construction and it's going to have a nice black powder coat to it, so it's going to stand up well against the elements, especially rust and corrosion. Let's go over the overall measurements with you real quick. Measuring in this direction from edge to edge, that's going to give us a measurement of about six inches. The depth, or how far this is going to stick out from your wall, that looks like it's going to give us a measurement of about 3 1/4 of an inch and then the overall height, looks like it's going to measure right at 4 inches. The diameter of the bar right here in the middle, that's going to give us a measurement of about 11/16ths of an inch. Hardware for this is going to be sold separately. It just has two mounting slots here on the back. If we take a measurement, the distance that we have center on center between those mounting slots, that's going to give us a measurement of 4 3/8ths of an inch. That's going to do it for our review of part number EM58000. This is the Erickson Strap Hanger and Storage Unit.	.
Order: RelevanceNewestRating - High to LowRating - Low to High Don't get your straps in a jumble. Store them neatly with this specially designed, 6" wide strap hanger from Erickson. Just bolt to wall and hang strap hook ends over bar.